Rabbi Panken was president of the Hebrew Union College-Jewish Institute of Religion. NEW YORK — Rabbi Aaron D. Panken, who expanded the ranks and ambitions of liberal Reform Jewish leaders in North America and in Israel, where Orthodox Judaism dominates, died Saturday when a plane he was piloting crashed about 70 miles northwest of Manhattan. He was 53. Rabbi Panken was the president of the Hebrew Union College-Jewish Institute of Religion, and his death was confirmed by the college’s spokeswoman, Jean Bloch Rosensaft. He was elected to the presidency of the college in 2013, after serving on the faculty and in leadership there for nearly three decades. The college has four campuses — in New York, where he lived, Cincinnati, Los Angeles, and Jerusalem — and trains rabbis, cantors, religious school educators, chaplains, and nonprofit leaders for the Reform movement, as well as those of other faiths. Reform Judaism, with 1.5 million members and about 900 congregations, is the largest Jewish denomination in the United States and Canada, but is dwarfed in Israel, where the Orthodox rabbinate has been fighting to retain its control over institutional religious life. Rabbi Panken added programs in entrepreneurialism, nonprofit management, and education, and linked the campuses through technology and online learning programs. He renovated and expanded the Jerusalem campus. In his four years as president, rabbinical students across the four campuses increased by 60 percent, education students by 50 percent, and cantorial students and nonprofit students by 40 percent, Rosensaft said. He himself had grown up in Reform Jewish synagogues, schools, and day camps, and was ordained by Hebrew Union College in 1991. He encouraged his students to be involved in advocating the rights of women, refugees, and minority groups, and to ground it all in the Jewish value of “tikkun olam,” or healing the world. “For me, Reform Judaism has always symbolized what I consider to be the best of Judaism — firmly rooted in our tradition, yet egalitarian, inclusive of patrilineal Jews and intermarried families, welcoming to the LGBT community, politically active, and respectful of other faiths and ideologies,” he said at his inauguration as president in 2014. Aaron David Panken was born in Manhattan on May 19, 1964, to Beverly and Peter Panken. He grew up in New York and graduated from Johns Hopkins University in the electrical engineering program. But he had been an adviser in a Reform movement regional youth program, and decided that he liked working as a counselor and pastor far more than working isolated in a laboratory, his wife, Lisa Messinger, said in an interview on Sunday. The Federal Aviation Administration said the Aeronca 7AC aircraft he was flying crashed just after takeoff from Randall Airport in Orange County, N.Y., on Saturday morning. Rosensaft said he had been on a routine flight check with an instructor. 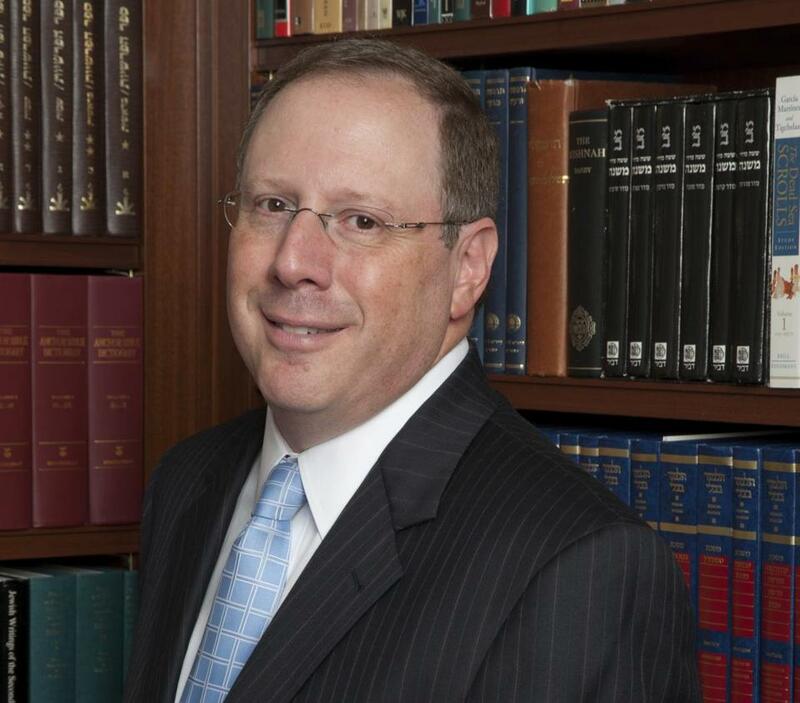 Rabbi Panken earned a doctorate in Hebrew and Judaic studies at New York University. Besides his wife and his parents, he leaves his children, Eli and Samantha; and his sister, Rabbi Melinda Panken of Temple Shaari Emeth in Manalapan, N.J.